At the time of entering into a legal transaction, there are two options available to the parties, i.e. agreement or memorandum of understanding. While an agreement refers to concordance between the legally competent parties, which is generally negotiated. Conversely, in Memorandum of Understanding (MoU) is a type of agreement between legally competent parties, which is non-binding in nature. An MoU contains the description of understanding between the two parties, including the requirements and responsibilities of the two. These two are legal documents, which are often confused for one another, but the fact is they are different. 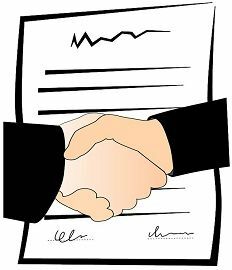 So have a look at the article to have an understanding on the difference between agreement and memorandum of understanding. Meaning An agreement is a document in which two parties agreed upon to work together for a common objective. A Memorandum of Understanding or MoU is a legal document which describes the terms of an arrangement between the two or more parties forming a bilateral or multilateral agreement. Elements Offer, Acceptance. Offer, Acceptance, Intention and Consideration. Enforceability An agreement can be enforceable in the court of law. A Memorandum of Understanding cannot be enforceable in the court of law. Binding nature It is always binding on the parties to the agreement. It is binding upon the parties, if the memorandum is signed in exchange for monetary consideration. The agreement is referred to as a state when two parties agreed upon the same thing, in the same manner, i.e. ‘consensus ad idem’ to work together for achieving a common objective. It can be in oral or written or implied form and can be legal or illegal. The agreement consists of a proposal which is to be accepted by the party to whom the proposal is made, and when this proposal is accepted, it becomes a promise of parties to each other, to which they have been agreed upon. The parties to the agreement have the right to go to the court in the event of non-performance of the agreement. A Memorandum of Understanding (MoU) is referred to as a written legal document which completely describes the principles of an arrangement between the two or more parties forming a bilateral or multilateral agreement duly signed by the parties. The Memorandum of Understanding between the parties must clearly mention the terms of the agreement, i.e. the objective should be definite to which they agree upon. A clear understanding should be there between the parties, regarding the intention which should be followed shortly. A MoU lacks legal enforceability, however, if any one of the parties has done anything against the MoU and due to this the other party has suffered any loss, then the aggrieved party has the right to recover loss because the parties are bind by estoppel. The agreement is a document in which two or more parties agreed upon to work together for a common objective, whereas the Memorandum of Understanding (MoU) is a written document which describes the terms of an agreement. The elements of an agreement are Offer, Acceptance while the elements of a MoU are Offer, Acceptance, Intention, and Consideration. The significant difference between An Agreement and a MoU is that an Agreement can be made enforceable in the court of law, but a MoU cannot be made enforceable, but however parties are bind by estoppel. An Agreement is of binding nature, whereas a MoU is binding upon the parties if the memorandum is signed in exchange for monetary consideration. The parties to the agreement have collateral rights, but the parties to MoU do not have collateral rights. An Agreement can be implied, but a MoU can never be implied. Both consist of an offer, acceptance. There must be two or more parties. Consensus ad idem i.e. the parties should agree on the same thing in the same manner. The common objective of the parties. The significant points of differences between an Agreement and Memorandum of Understanding (MoU) have been discussed above, after which it would be easier to make a choice between these two terms. Most of the business person, government agencies, legal bodies and individuals often use these two entities in their day to day life to deal with another party, to achieve a common objective. It must be clearly understood by the parties that, if they want their decisions to be binding upon each other, they can go for an agreement which gives the parties, their substantial rights, and further they can enforce it in the court of law. Whereas, if the parties do not want any legal binding upon them, they can go for MoU. Can the MOU be the same as Teaming Agreement? If not, what is the difference between the two (2)? Can I consider Teaming Agreement as binding and enforceable in the court of law?